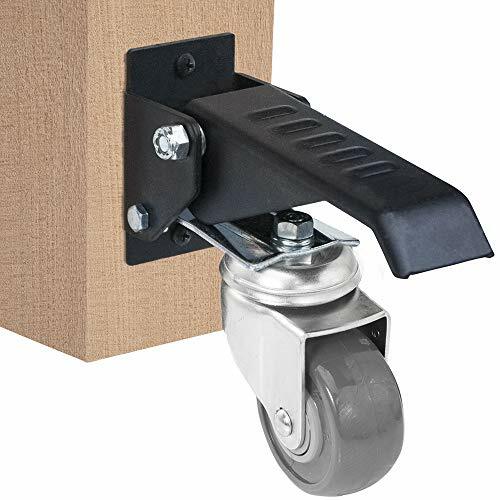 Move your workbench to any area in your shop with our 360° workbench casters. This set of 4 casters work by simply pushing down on the pedals to raise your workbench off the floor. Once elevated you can move your bench as desired, then lift up on the pedals to disengage and your workbench sits firmly on the floor. Each lift pedal is textured to provide extra grip. The 2-3/8" urethane casters are rated for 100 lbs of capacity, which means all four together give you a total weight capacity of 400 lbs. The Workbench Caster 4 Pack includes all of the mounting screws necessary for easy installation.